Garden furniture made from hardwood Acacia. Set of two chairs and table. 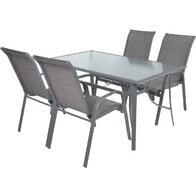 Garden furniture set with two chairs and a table. Tropical hard wood Meranti. Suitable for sheltered garden areas. Garden furniture made of composite steel-aluminum profiles. Komaxit finish. Suitable for sheltered garden areas. Not suitable for wet places. Aluminium construction and tempered glass. Suitable for covered garden areas. Garden furniture set of four chairs and one table made of hardwood Acacia. Suitable for sheltered garden areas. Combined set of six chairs (stackable) and a table made of aluminium profiles. Table with tempered black glass. Suitable for sheltered garden areas. 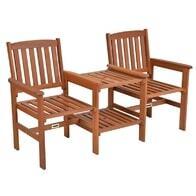 Garden furniture set of six chairs and one table made of hardwood Acacia. Suitable for sheltered garden areas. 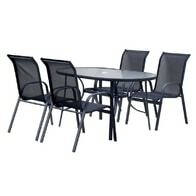 Combined garden furniture set of 6 chairs and one table with parasol. Steel-Aluminium frame profiles, table with black tempered glass. Suitable for sheltered garden areas. Garden furniture made from hardwood Acacia. Suitable for sheltered garden areas. Set of six chairs and a table of the highest quality hard wood Acacia. The table is convertible. Wood is a natural material. Color variations from the illustrations are not a reason for complaint. Suitable for sheltered garden areas. 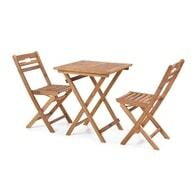 Luxury combinet set of six foldable chairs and a table made out of hard wood Acacia. Suitable for sheltered garden areas and interiors. Can be used also in exteriors if proper care and coating are provided. 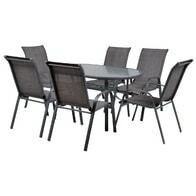 Set of garden furniture, table and 8 chairs. Made of hard wood Acacia. Suitable for sheltered garden areas. Foldable table, massive 4 cm desk.